Christ is My Life. 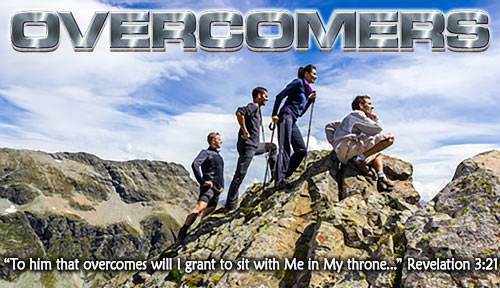 Lesson 10 Questions in "Overcomers"
a) I am in Christ. Christ is in me. b) I believe in Jesus. And He believes in me. a) I can get help from Christ. b) I share Christ's life. a) are close together but they each have their own life. a) we are connected to Christ. b) we are in Christ, joined to Him in a living relationship. a) we have Christ to help us. b) Christ is in us. a) Christ is my life. b) Christ is always near to help me. a) to teach me how to live a better life. b) to put me in Christ on the cross. a) is to take myself out of the way so Christ can live His life in me. b) is to try to improve SELF. a) counting on Christ who lives in me. b) fighting the devil with all the power I have. a) I can confess my sin and have victory again instantly. b) it will take some time before I can have victory again.